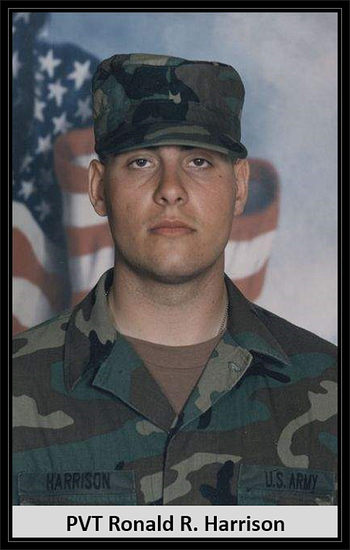 Died: April 22, 2008 in Operation Iraqi Freedom. Unit: Army, 703rd Brigade Support Battalion, 4th Brigade Combat Team, 3rd Infantry Division, Fort Stewart, Ga..
Pvt. Ronald R. Harrison, 25, of Morris Plains, N.J., died April 22 at Forward Operating Base Falcon near Baghdad, Iraq, of a non-combat related injury. 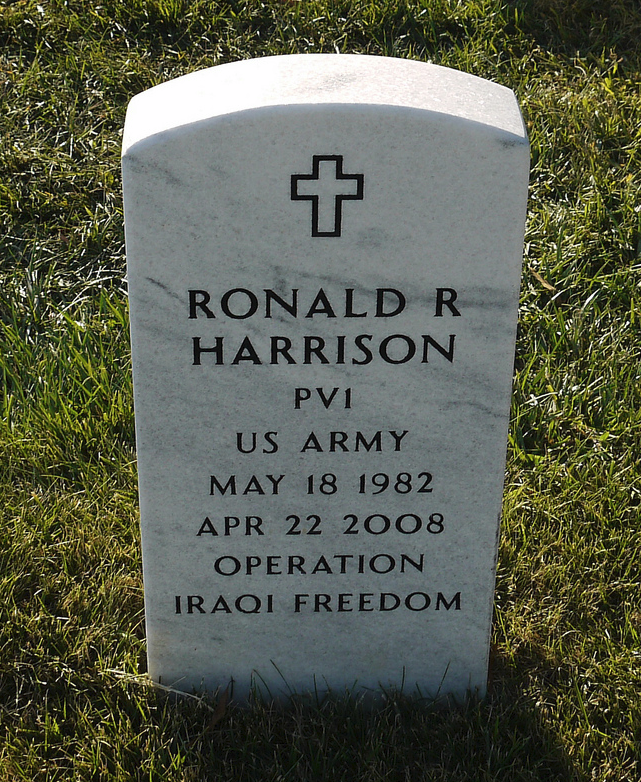 He was assigned to the 703rd Brigade Support Battalion, 4th Brigade Combat Team, 3rd Infantry Division, Fort Stewart, Ga.
Ronald R. Harrison loved to cook for the family. He could create sumptuous dishes of fish, chicken and London broil. "He would have made a great chef," said family spokesman Peter Rowland. Harrison, 25, of Morris Plains, N.J., died April 22 near Baghdad of a non-combat injury. He was assigned to Fort Stewart. He played football, basketball and track in high school and enlisted in the National Guard in December 2003. "Harrison was a dedicated soldier as well as a loving husband, stepfather, son, brother, and friend, whose memory lives in the hearts of his family and fellow soldiers," said Gov. Jon S. Corzine. After high school, he worked for several years at an Exxon gas station and also for an exterminator, his parents said. "He intended to make the Army his career. He enjoyed the services and was proud to wear the uniform," Rowland said. "The Army was very good for him." Harrison is survived by his wife, Kagen, and her son, Max. "He was always trying to do good by his kid, and his parents, and his friend," said friend Ben Ala, who often spoke with Harrison over the phone.